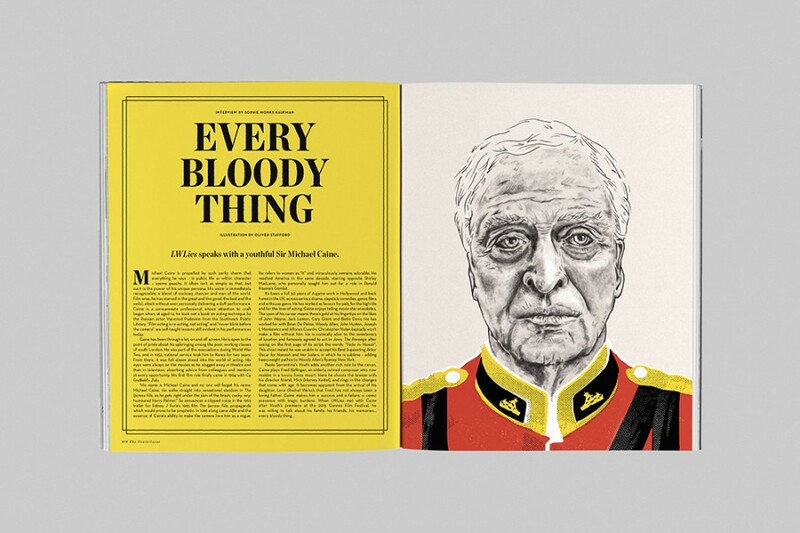 For the latest issue of Little White Lies, we were humbled to be granted time in the presence of a bona fide legend of British cinema: Sir Michael Caine. He spoke to us about his friendship with Cary Grant, the time he went on a blind-date with Bette Davis and how he pulled himself up by his bootstraps to get where he is today. And that “today” is Paolo Sorrentino’s Youth, his melancholic follow-up to exuberant Oscar-winner, The Great Beauty, in which Caine plays a retired classical music conductor who is being coaxed from his scenic Swiss enclave for one last gig, by order of the Queen of England. 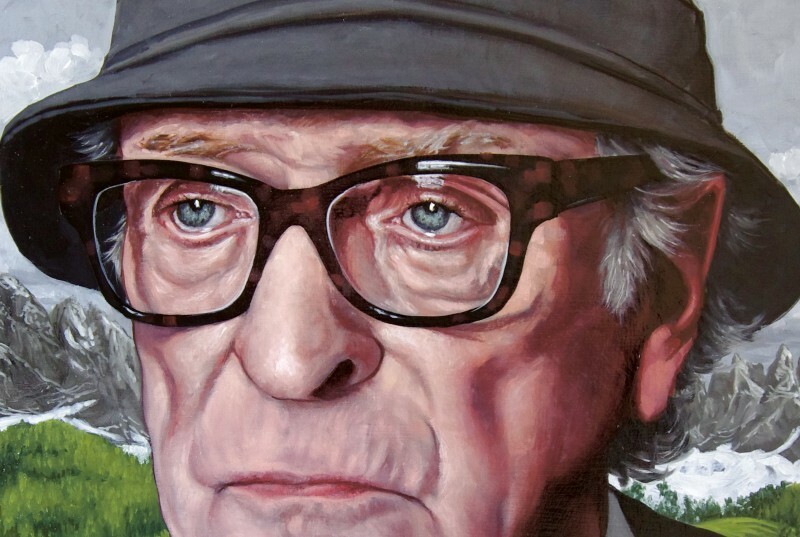 The film is funny and reflective, with Caine and his film director pal played by Harvey Keitel, musing on the nature of mortality while orbited by a number of troubled hangers-on. The cover of this issue has been created by artist Jaxon Northon as an oil on canvas portrait of the film’s star. 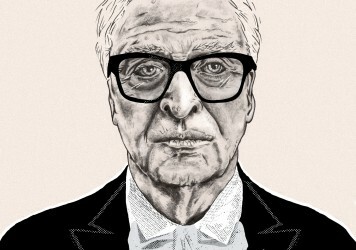 Michael Caine reminisces about 50 years of film industry memories and a lifetime of family values. Youth director, Paolo Sorrentino, is happier pulling the strings than performing. Sophie Monks Kaufman faced the mysterious maestro. In the spirit of Youth’s reflective tone and its story of a man looking back on his achievements in search of self definition, we pay tribute to 50 final films, in alphabetical order starting with Chantal Akerman’s No Home Movie and ending with to Edward Yang’s Yi-Yi. 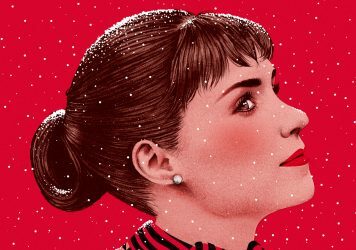 Charlie Kaufman and Duke Johnson animate Anomalisa; Hou Hsiao-Hsien trains The Assassin; Brie Larson escapes Room; Ryan Coogler and Michael B Jordan weigh in with Creed; Alejandro González Iñárritu summons The Revenant; Michael Keaton shines Spotlight; Tilda Swinton takes A Bigger Splash; Bryan Cranston is Trumbo; Pilou Asbæk survives A War; Julianne Moore and Ellen Page embrace Freeheld; and Jennifer Lawrence feels the Joy. All that plus interviews with Charlie Kaufman and Duke Johnson, Hou Hsiao-Hsien, Brie Larson, Bryan Cranston and Luca Guadagnino. 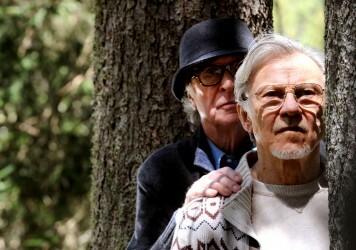 A legend of British cinema teams with Italy’s master of screen sensuality to tell a sparkling tale of nostalgia and sorrow.